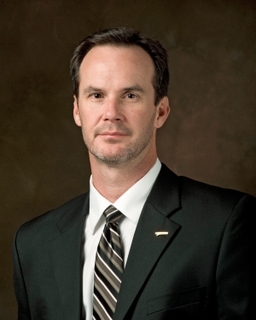 PASCAGOULA, Miss., Feb. 23, 2009 (GLOBE NEWSWIRE) -- Northrop Grumman Corporation (NYSE:NOC) has appointed Dave Belanger vice president of Quality and Process Excellence for Northrop Grumman Shipbuilding - Gulf Coast. He reports to Irwin F. Edenzon, sector vice president and general manager of Northrop Grumman Shipbuilding's Gulf Coast operations. Within his organization, Belanger will be responsible for the formulation, management and oversight of the quality and process excellence programs, policies, goals and objectives. He will direct and control the planning, development, and enforcement of comprehensive and integrated quality and continuous improvement programs throughout the division and across the sector. "Dave Belanger brings extensive experience in meeting safety, quality, cost and schedule commitments to the Gulf Coast shipbuilding team," said Edenzon. "His leadership will continue the sector's goal of driving accountability into our quality and process excellence organizations." Belanger comes to the Gulf Coast from Newport News, where he was most recently director of quality and technical services. Since joining the company in 1985, Dave has held positions of increasing responsibility in the test engineering organization, large scale vehicle program office, and was manager of quality assurance. He earned a Bachelor of Science degree in mechanical engineering from Rensselaer Polytechnic Institute, a Master of Science degree in engineering management from The George Washington University, and a Master of Science degree in systems engineering from the University of Virginia. He is registered as a professional engineer in the Commonwealth of Virginia.